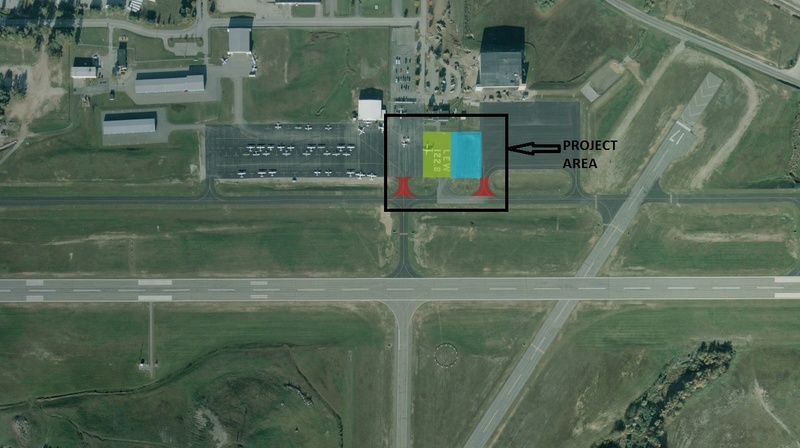 Project Description of Work: The project includes the partial rehabilitation of the existing terminal apron and the expansion of the existing terminal apron to connect to the west itinerant apron. Stub taxiways from the aprons to the parallel taxiway will be reconfigured to improve aircraft flow. Click here for the Project Advertisement for bid.